We have all heard about people who have acid reflux and how painful the condition can be. But most of us have no idea how unhealthy an acid condition can make a body or set up an environment for sickness and disease. Dr. Otto Warburg, a German physiologist and medical doctor, received a Nobel Prize in Physiology or Medicine in 1931 for his work with cancer tumors discovered some important information concerning acid/alkaline balance in the human body. Dr. Warburg found that normal cells became cancerous only in an acidic environment never in an alkaline one. He also discovered that the more acid a cell has, the less oxygen the cell contained. Conversely, the more alkaline a cell became the more oxygen the cell contained. Dr. Warburg’s research revealed that once a healthy cell contained less than 60% oxygen content that cell became cancerous. The more acidic the cell, the less oxygen; the more alkaline the cell, the higher the oxygen content. In my studies of healthy cultures around the world, known for their longevity and lack of Western diseases such as cancer, heart disease, diabetes, obesity and arthritis, they eat a diet high in alkalizing foods. Thanks to Dr. Warburg’s research, we know that an alkaline body is much higher in oxygen content than an acidic body, and that difference makes cells healthier and able to fight off sickness and disease. As a nutritionist for over 40 years, one of the prevailing principles I have shared with my clients to achieve better health in your life is to maintain a pH of 6.5 to 7.5. The term pH is a measure of the hydrogen ion concentration of a solution. Solutions with a high concentration of hydrogen ions have a low pH (acid), and solutions with a low concentration of hydrogen ions have a high pH (alkaline). Digestion in the body begins in the mouth with the salivary glands, which have a pH of 6.5 to 7.5. The duodenum, which is the first 10 inches of the small intestine, has a pH of 7.0 to 8.5. This is where most of the carbohydrates, fats, and half of the protein is broken down by pancreatic enzymes. These pancreatic enzymes must have an alkaline environment in order to become active. Today, most people eat a predominantly acid-forming diet, which can cause these normally alkaline digestive areas of the body to become more acidic. When this happens, digestion is compromised. Foods like fresh fruits and vegetables, grains like millet, quinoa, buckwheat, and brown rice, and almonds are alkalizing, while foods like refined sugar, animal products, and junk foods are acid-forming. 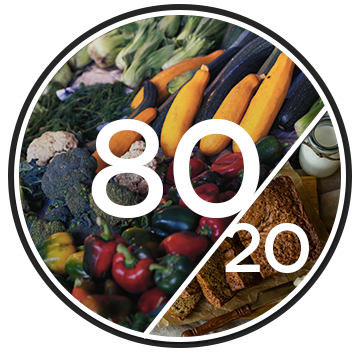 No wonder healthy people eat a diet with 80% alkaline foods and only 20% acid foods. That’s why I developed whole food, plant-based products like Green Advantage to help to improve the alkalinity of your body. It is vitally important to eat a diet rich in plant-based foods to alkalize your body, to increase the oxygen content of your cells, and to improve your digestion and immunity. If you can only take one supplement a day, get the Green Advantage in our online store.